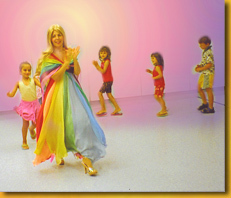 The party is filled with enchantment, non-stop fun, dimension and surprise! 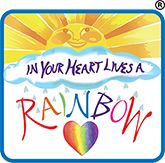 The children lift a beautiful rainbow parachute, play musical instruments, twirl colorful boas, dance with the The Lady of the Rainbow, and listen to her songs and magical stories. As the stories unfold, the children are engaged and involved, gazing at the vibrant illustrations, using special props and moving to the exciting music. 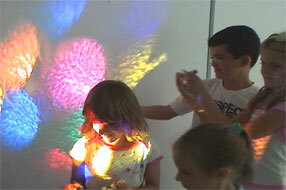 Dazzling lighting effects and a bubble machine are used to delight the children and liven up the party. 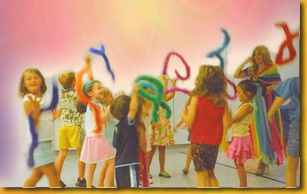 The excitement continues with additional party music, dancing and the limbo. 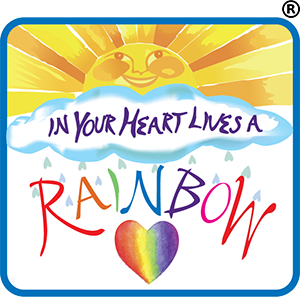 Sparkly multi-colored stickers are given out to all the children and the Birthday child receives special attention. 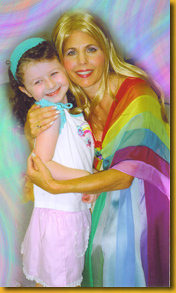 The Lady of the Rainbow passes out magic wish-beads and magic rainbow dust. After making their wishes, the children put their wish-beads back into the magic bag. After everyone says the magic words, the Birthday girl or boy pulls out a magical Birthday present — a necklace for a girl or a real prism for a boy.